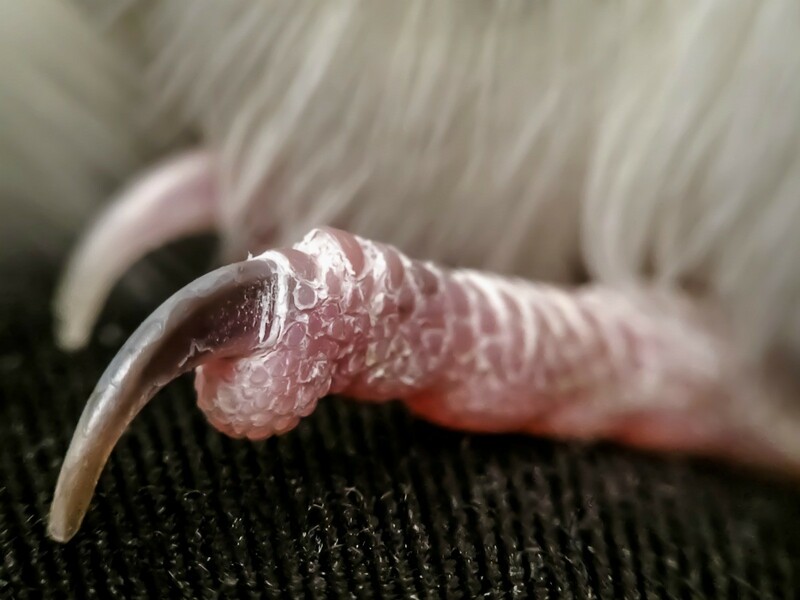 The thought of trimming your bird's nails may be scary. There are some products that can help keep them short or you can seek a professional to groom them. This is a guide about trimming a bird's nails. My parakeet, Charlie, has grown some super long nails. I don't know what the bird is supposed to do to keep them trim, and there's no one in my family that will trim them. Does anyone know a step by step way to trim a bird's nails and what I can use? If you can find a specialty bird store near you, a lot of them have grooming services. It is also a lot cheaper than a vet, and they know what they are doing. I work in a bird store and I do a lot of grooming, and I agree with the posts above, you don't want to be the bad guy and you don't want to hurt your bird earlier. If you hold the toenail up to the light you can see where the blood vessel ends. Clip an extra 1/8 inch beyond the vessel so you miss the vessel. Wear a glove and be gentle. Your parakeet will not be crazy about this procedure. I've kept birds of all sizes for years but I still remember how scared I was the first few times. I am "the bird lady". I have trimmed beaks (seldom needed) wings and nails. It is traumatic for both you and the bird. The calmer you are, the calmer the bird will be. I use a white dish towel for the smaller birds. Drop it over them and gently place your index and middle finger on either side of its head with gentle pressure. It's to keep them from biting. I then place them belly up in the same hand continuing to steady the head. (It's easier to do this with 2 people as they tend to curl their toes, making it difficult to do this with 1 hand). Remember: don't be a bully, they weigh only ounces! Parakeets have clear nails, you can see the blood supply (quick) if you look closely. Clip just below the vein with nail clippers or baby scissors. Be careful not to break the toe. I am not a fan of sandpaper perch covers or cage liners. I've seen too many raw feet as it contacts with the claw not the nails. I wouldn't like to have sandpaper on my bare feet! I also use tree branches instead of purchased perches as they vary in diameter and its better for the lil feet. Take your bird to an avian veterinarian. Trimming bird nails is tricky and most definitely not for a novice.